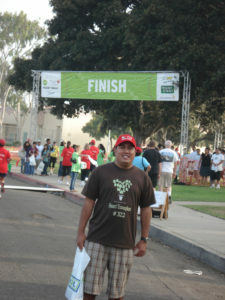 Follow up: Moses completed the Tri-City Medical Center Carlsbad Marathon in a time of 5:20:02. Follow up: Dana completed the Tri-City Medical Center Carlsbad Marathon in a time of 4:09:24. Suzi Vietti, a fifty-nine-year old resident of Chanute, Kansas, has had Type 1 diabetes for forty-five years but has never let her disease control her life. She’s a proficient water skier and snow skier, and enjoys many other sports like golf and bowling. She also flies a light sport aircraft and has earned the distinction of being the first female sport pilot in America.In 2004, Suzi noticed numbness in both legs and was soon diagnosed with transverse myelitis, a potentially debilitating disease that affects only a very few people in a million. The prognosis was grim and she was told she may never walk again. After being released from the hospital, she underwent months of physical therapy, first learning to walk again. Slowly, tediously, she was able to jog a few steps, then farther and steadier. And just one year after her release from the hospital, she and her twin daughters ran a half marathon. She is running the Tri-City Medical Center Carlsbad Half Marathon with other runners from Glucomotive, a group of diabetic runners who refuse to allow their disease to stop them. She is also running to raise funds for Insulindependence. Follow up: Suzi completed the Tri-City Medical Center Carlsbad Half Marathon in a time of 2:58:40. 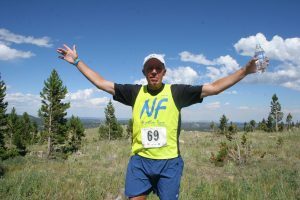 Bob Skold from Greenwood Village, Colorado has NF2 – neurofibromatosis. 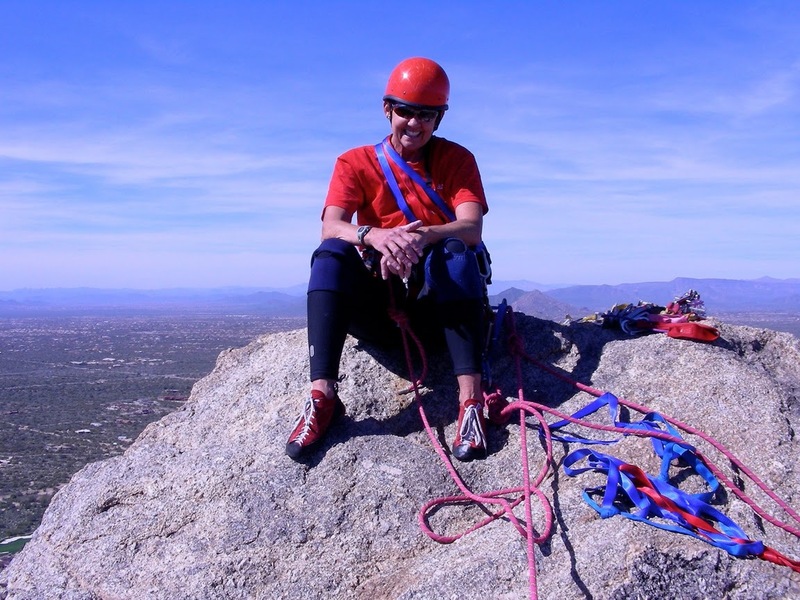 When he was first diagnosed with a brain tumor in 2000 he was told he had 4 weeks to live. Miraculously his surgery to remove the turmor was a success and although he was left with some facial paralysis and profound deafness, he is alive and well today running marathon after marathon touching and inspiring others.Soon after his surgery in 2000, Bob started running with the NF Endurance Team, a team of runners dedicated to raising money to fight neurofibromatosis. “I’m a cup half empty guy and am anxious to see the day we raise $10 million a year to fight this disease which strikes children and adults every year and can be severely debilitating and even fatal. We are up to the challenge… we will go the distance to cure NF… we will never ever give up! 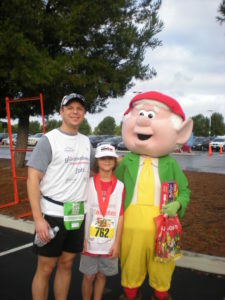 Hey, we are marathoners.” Bob will be running the Tri-City Medical Center Carlsbad Marathon. Follow up: Bob completed the Tri-City Medical Center Carlsbad Marathon in a time of 4:27:50. Ryan was diagnosed with Type 1 diabetes when he was 2 years old. 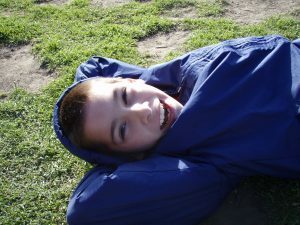 Today at age 10, Ryan takes responsibility and manages his condition by checking his blood sugar 8 to10 times a day. Every time he eats he counts his carbohydrates then uses his pump which is always attached to him to administer his insulin.Last year Ryan ran in the Keebler™ Kids Marathon Mile and volunteered at the Insulindependence water station, cheering on the participants in the marathon. 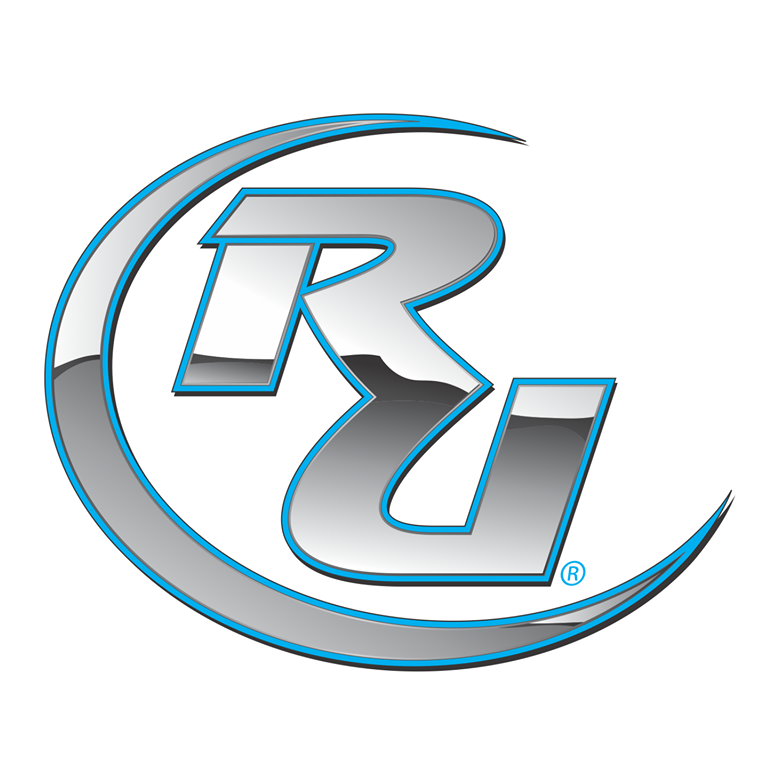 Ryan was so inspired that he asked if he could run the 2010 race with Insulindependence. A Tampa Florida member of Team Glucomotive will run with Ryan in the Tri-City Medical Center Carlsbad Half Marathon, helping to carry his medical supplies and monitoring his blood sugars. Ryan wants to raise money for Insulindependence and inspire other kids living with diabetes by showing them that they don’t have to let diabetes control their lives. Follow up: Ryan completed the Tri-City Medical Center Carlsbad Half Marathon in a time of 2:36:09. Operation Jack is the dream created by Sam Felsenfeld of Foothill Ranch, CA. Sam’s son Jack was diagnosed with severe autism shortly after he turned 3. After watching his son struggle day after day with his condition, Sam decided he needed to do something to make a difference in the fight to cure autism and to honor his son – his plan was Operation Jack. 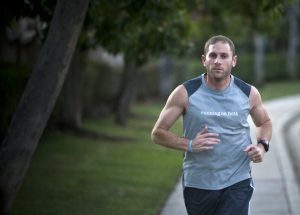 Sam made a commitment to run at least one marathon a week in 2010 to generate nationwide attention and awareness as well as raise funds for Train for Autism. Running did not come naturally to Sam. He suffered a broken neck at age 16. When Sam took up running five years ago, he weighed over 260 pounds and was a smoker. Today he is well on his way to reaching his goal. 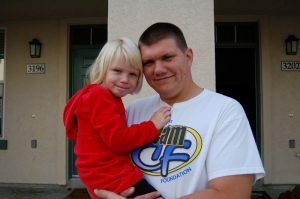 The Tri-City Medical Center Carlsbad Marathon will be his fourth marathon of 2010.If Sam is successful (and he will be), Train 4 Autism will grow and countless people living with autism – along with their family and friends – will benefit for years to come. Follow up: Sam completed the Tri-City Medical Center Carlsbad Marathon in a time of 3:07:21. 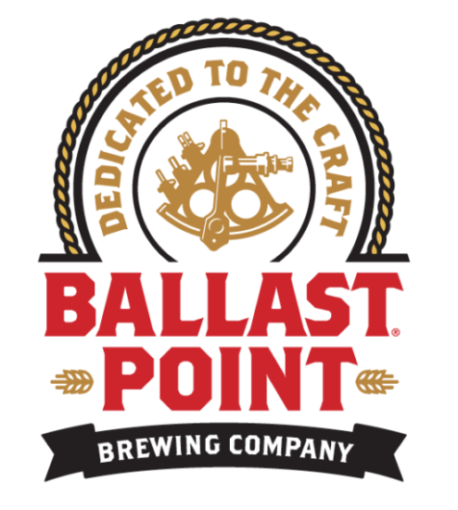 As a career sailor Dan Smith understands that there are various “enemies” that the military encounters. However, finding out that his daughter had cystic fibrosis in December of 2005 was not something he was prepared for. Suddenly the enemy was right in front of him in the form of a disease his daughter was battling. That was the day that Dan took up the fight to cure CF and he has been relentless in his effort since. To date, Dan has raised thousands of dollars in the search for a cure for CF.Any good military strategy involves meeting the “enemy” head-on and applying pressure until he surrenders or is eliminated. That is Dan’s strategy toward CF – to continue to fight for a cure. By participating in events such as the Tri-City Medical Center Carlsbad Half Marathon, Dan has the opportunity to raise funds that may ultimately wipe out this disease. He is determined to give cystic fibrosis its biggest fight yet while showing his daughter how important she is to him at the same time. He has joined the CF Foundation and their CF Striders team and will be out there on race day proudly wearing his new CF Striders shirt. Follow up: Dan completed the Tri-City Medical Center Carlsbad Half Marathon in a time of 2:06:33. Kerry Kuck from Denver, Colorado, has had Type 1 diabetes for 40 years, and is totally blind. 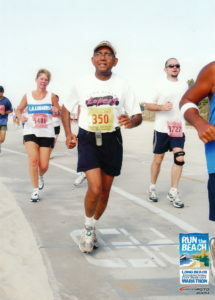 He also has neuropathy and kidney disease, but has been running 2.5 to 4.5 miles a day since becoming blind 25 years ago. 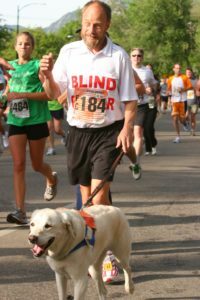 Running regularly with the help of three different guide dogs has kept his complications from increasing in severity.Kerry is running the Tri-City Medical Center Carlsbad Half Marathon on behalf of Insulindependence. He says that in terms of long distance running, Type 1 diabetes is much more difficult to deal with than blindness. Follow up: Kerry completed the Tri-City Medical Center Carlsbad Half Marathon in a time of 1:53:02. Please give the gift of life and register as an organ or tissue donor at www.DonateLifeCalifornia.org. Follow up: Justin completed the Tri-City Medical Center Carlsbad Half Marathon in a time of 4:28:49.